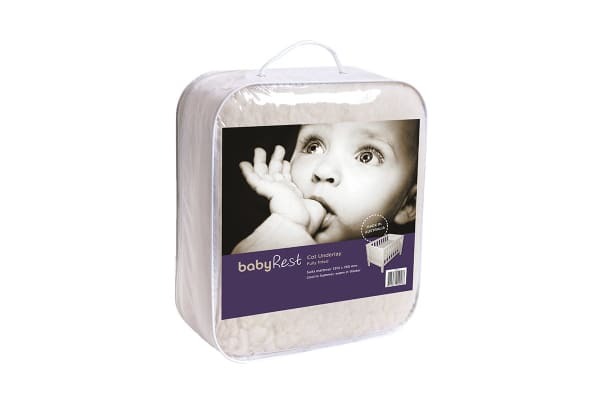 Using the most absorbent natural fibre in wool, the Babyrest Lambswool Cot Underlay offers absolute comfort for your baby. The Babyrest Lambswool Cot Underlay keeps your little one warm during the cold of winter and cool during the heat of summer, providing your baby with comfort in any season. It is machine washable, making maintenance easy and effortless.